Sir Peter Gluckman, scientific adviser to NZ prime minister John Key, recently published a discussion paper entitled Towards better use of evidence in policy formation (pdf). It’s an interesting read for anyone who has ever noted the sometimes large discrepancy between political dogma and policy outcomes. Sciblogger Peter Griffin went so far as to describe it as “possibly one of the most important [papers] he has released thus far”. 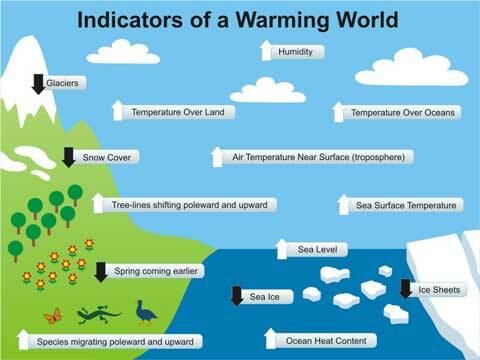 The existence of a current unprecedented global warming trend. That the greenhouse effect is powerful enough to endanger the environment. A causal link between human activities and dangerously high global temperatures. That climate models have a high level of skill in predicting the climate. A causal link between atmospheric levels of carbon dioxide and global temperatures. A causal link between global warming and the gentle rise in sea level. Treadgold appears not to have been “looking” very hard, because there is plenty of evidence to address every one of his points. 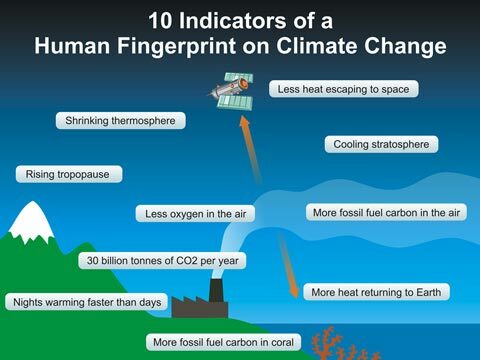 All of these things confirm that the planet is currently warming (more at Skeptical Science). But is it unprecedented, I hear the pedants squeal? Well, no. But over the earth’s history, sudden rapid global warming is often associated with major extinction events — and you’d think that was something we might try to avoid. The greenhouse effect is powerful enough to deliver the environment we live in, by retaining enough heat to lift surface temperature by about 33ºK. In other words, without greenhouse gases, the earth’s surface would average about -17ºC. Increasing that already large warming by adding more greenhouse gases can certainly “endanger the environment” as past warmings show (see above, and here). There’s no doubt that the current warming is being caused by increasing atmospheric CO2 levels, a direct result of human activity (burning fossil fuels, deforestation etc). As this Skeptical Science graphic shows, this view is supported by (at least) 10 lines of supporting evidence. But will the warming be “dangerously high”, the pedants pipe up? See the information on past warming events linked above, and then ponder on the Eemian, the last interglacial, when CO2 at 300ppm delivered sea levels 6 m higher than today and global temperatures 1ºC higher than present. Or what about the Pliocene, when CO2 levels equivalent to today delivered sea levels 25 m higher, and an Arctic as much as 13ºC warmer? This is Treadgold’s blockhead moment. The “causal link” is basic physics, understood for 150 years (Fourier, Tyndall). More CO2 means more heat retained in the system, or the greenhouse effect he seems to admit exists wouldn’t. That’s about as clear a link as you can get. More basic physics that seems to have eluded Treadgold. If you warm up water, like most things it expands. Thermal expansion has been (until recently) the single biggest contributor to sea level rise and will continue to play a big part until the oceans reach thermal equilibrium — and that will take hundreds of years, even if we do manage to end our binge on fossil carbon. Treadgold claims to be “looking for evidence”, but clearly hasn’t been looking hard — or perhaps at all. There is an obvious irony in his using a paper he hasn’t read to demand evidence he can’t be bothered to uncover or understand, but — and much worse — it’s a continuation of a long-term pattern of behaviour, as Hot Topic readers with long memories may recall.